Ichimaru and Ishida's vectored covers, as well as other wallpapers and vectors, can be found at ZanimationsCS. Brushes from PAULW at deviantART. 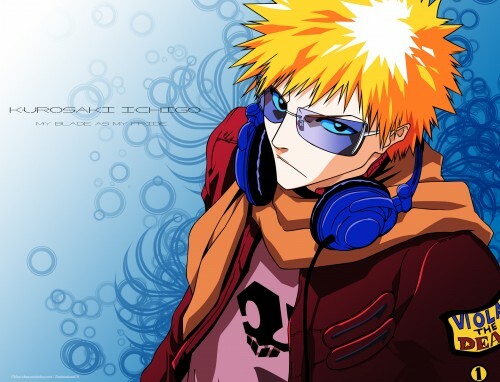 Ichigo, never been as cool as now ;) and your background even made him looks cooler than ever before! I like the brushes you used on the background they are truly cool and neat! you definitely deserve a favorite! woah! your vector is awsome! i love it ^^ and you did a lovely little background to fit it ^^ very nice! Awesome vector! At first I thought it was wallpaper although you have the [V] stamped on the title. >.< Eh, works fine as wall by the way. Quote by Rikimaru-jpIchigo, never been as cool as now ;) and your background even made him looks cooler than ever before! I like the brushes you used on the background they are truly cool and neat! How BIG! The resolution is really wonderful, Chloe-san ^_^ Love it so of course a fav! Very nice vector Chloe-chan! ^^ Lines are clean and colors are great. And the background matches the vector very well. Love those swirls and colors. I think you did a great work! anyhoo absolutely wonderful job on the vector. i like how his sunglasses fades from one color to another. and i like the simple background. I love it! The vector is perfect and i love the background you did its soo cool. Great work! 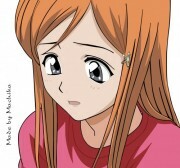 I'll try to find the renji picture for you. An Ichigo vector. He looks so cool. You done good Chloe. Your vectors are great as usual. Every little detail is vectored down precisely. I still don't know how you do it, you truly have alot of patience for this kinda shtuff. There's nothing I can say that hasn't been said already. simple + nice bg ! going to my favvie ! looks great. this is one of my fav images of him. great vectoring - the wall is awesome. thank you! i was looking for a vector of that scan!